We hold launches on the third Saturdays of every month; check the launch schedule for exact dates. All launches start at 9:00am. When we have fog in the winter months they will start at 11:00am or when the fog clears. For the one-day launches, we keep flying until we have no more fliers and like to start tear-down by 3-4pm; we call for fliers around 1pm to determine how long to keep the range open. For three day launches, we fly all day unless there is a night launch. We have a complete setup of rods/rails in every size and have high-power pads from H to Complex M. Note that in all cases, fliers should plan to stay at the launch site from 9am-5pm as keeping the above schedule and the launches going depends on how many people we have to volunteer for set-up and teardown. For the latest information sign up for our members email list. This is the best place to get up to the minute details about our launches. To get an account on this website, you also have to be signed up on the members list. You will need to send the admin your contact details and then you’re all set! Flyers 14 and under are free. No charge for spectators! 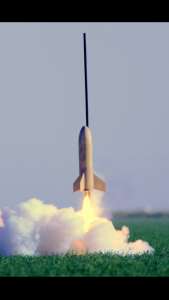 We have a FAA Waiver to launch rockets to 16,800 feet above ground at our site. Any rocket that could reach a higher altitude will not be allowed to launch. The minimum safe distance for an M total installed impulse is 500′ which is our standard away cell setup. The minimum safe distance for a Complex N total installed impulse is is 1500 feet. At TCC, we have full launch capability of Complex N impulse with a daisychained 1000′ lead on our standard away setup for 1500′ extended away cell. In fact, this is how we use our 1000′ cable. Rockets with a total impulse of M-class or higher must have documentation for the RSO showing that the rocket will be stable. The Big away pad we have is capable of launching a rocket in excess of 250 lbs. The standard rail is a Proline 1500 or “Bigbutton” rail as is used on all larger impulse rockets. Visitors Fee – for those fliers who are coming to the launch only to certify, have not attended 3 successive launches as registered fliers, or have no prior experience, we charge a $40 visitors fee. launch). TCC is the only club which does not charge yearly membership dues; the visitors fee helps keep this possible. attempting to certify Level-2. Exceptions are at the discetion of the Prefect. Level 3: Contact Richard King or James Dougherty in advance. Our T-Shirts are high quality custom designed with new themes for every launch.We generally make T-Shirts for our larger launches (October Skies and Dairy Aire). The link for the T-Shirt sign-up list is at the top right corner of this page. Edit the Google document by clicking the tab for the launch you plan to attend and put the number of shirts and sizes for each. Use a new line for a separate size to ensure your shirts are reserved. Prices are $20 up to XL, and $25 for 2XL and larger (we get charged more for sizes over XL). Our launch site is on private property, it is not BLM land or public property; you need to follow these rules or else you will be escorted off the property. Trash – we have a strict pack-in/pack-out policy; everything you bring to the launch site we want you to bring OUT of the launch site. This also does not mean to go down to a dumpster on one of the adjoining farms and throw it there! Camping – you are allowed to camp on the launch site, the only restrictions are that you don’t have any fires. BBQ’s are an exception but if you start a fire, you will be responsible for the damage. Recovery – when you go to recover your rocket, make sure that you give a heads up to some folks that you’re out looking for your bird. Try to stay on the dirt roads as much as possible and be VERY careful for the ditches, burms, and slews out here. We’ve had people get stuck before and it’s causes major problems. So, if you get stuck, you’re pretty much on your own – but we will help you call AAA. Always yield to ANY farm equipment on or near the launch site. This is a working farm and its farmers and employees always have the right of way. There is a 10MPH speed limit on any of the access roads and this will be strictly enforced. All TCC launches follow the Tripoli Safe Launch practices and all fliers need to be members of Tripoli or NAR to fly at the launch site. When you sign in, you need to show proof of your Tripoli or NAR membership. NAR members will be allowed to fly Commercial motors (only) at Tripoli launches, with NAR insurance (as long as their projects are launched according to NAR rules). All flyers who enter the High Power Pad area must be 18 or older. No rockets are allowed to fly without inspection and approval of the RSO. Any person who flies or tries to fly a rocket without RSO approval will be asked to leave. Our waiver is 17,000 MSL or 16,811 MSL; rockets which will exceed this altitude will not be allowed to fly. If the wind picks up and exceeds 20mph, we will shut down the range. When you’re launching your rockets, you’re not allowed to exceed a 20 degree angle from vertical in ANY direction. If the LCO sees your launched outside of these parameters, your launch will be skipped and when the range opens up again you can re-aim your rocket (this is what we call a recycle). Igniters – use an ematch or a pyrogen igniter; our launch system can deliver 40 amps to each pad but that does not mean to use 24 guage bell-wire. If you have a crummy igniter the breaker will pop, and everyone on that relay box will be offline – effectively slowing down the launch. When you’re out on the range, make sure you walk straight out and don’t walk OVER the launch leads; if you trip over the launch leads and yank the wires, the launch will shutdown. When you’re out on the range, make sure you watch your step and be careful for any gopher holes or trenches, you can fall and break your ankle or much worse. Setup/tear-down – if you’re able to, please come to the range-head towards the beginning and end of the launch – more people means it is less work to setup and tear-down. With 5-10 good volunteers, tear-down can take 30 minutes or less. If you have not done any tear-down before, we will pair you up as a buddy system since teardown has a process you must learn. Tripoli Cert flights – contact the prefect and schedule a time to certify at a launch. It is best to come with your Tripoli number and all of your paperwork completed.